Chrome is my favorite browser and the browser of choice for most bloggers and solopreneurs. It is super fast and offers tons of great extensions that will help you to save time and be more productive. 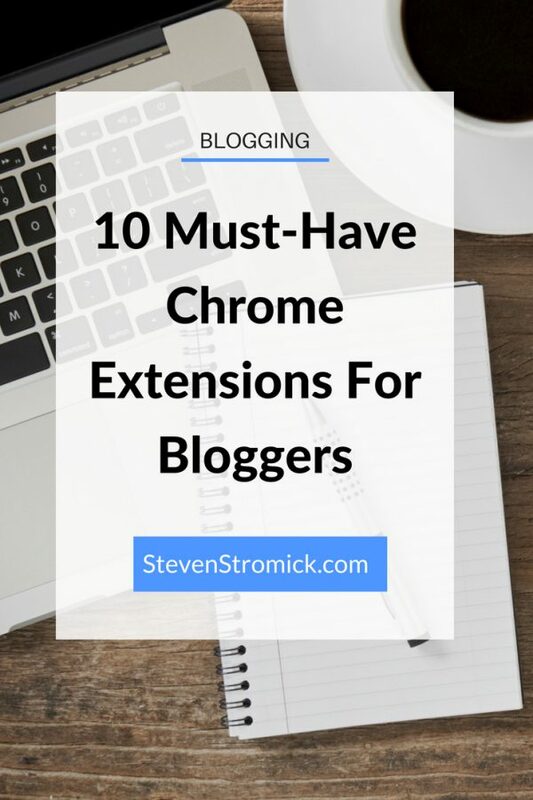 In this post, I share with you 10 of my favorite must have chrome extensions that I think every solopreneur should have installed. 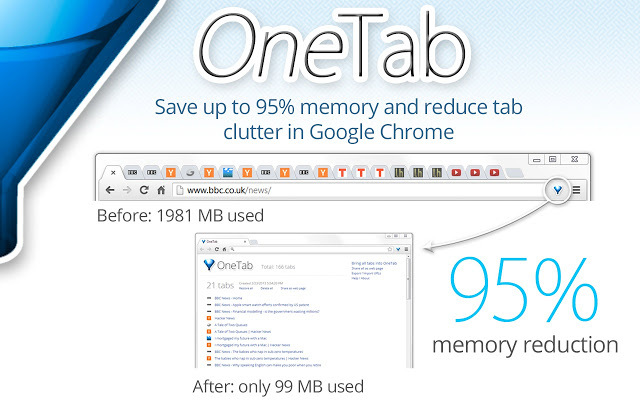 If you are anything like me and tend to have far too many open tabs then you know all those open tabs can slow down your computer. This extension “suspends” all your open tabs so they don’t slow down your computer. When you are ready to go back to a tab, you just click on it and it will reload. This one again will help you out if you have a lot of open tabs. Just click the One Tab icon and this extension will condense all your open tabs into a list that you can go back to later. This is a must if you are running any Facebook Ads for your site. 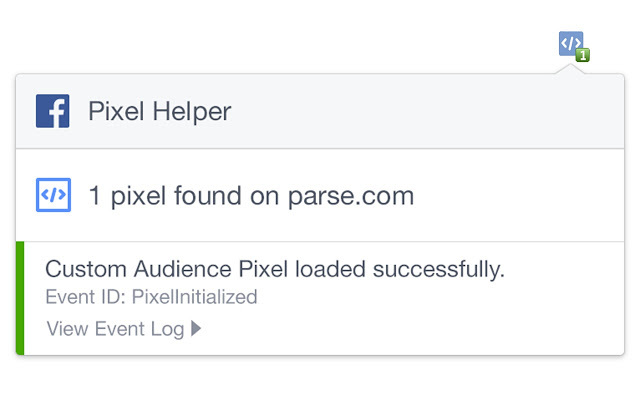 This extension will let you know if you have the Facebook pixel installed on your page correctly and which “pixel events” are fired upon landing on that page. Easily organize and store all your password and logins for various sites. This saves you from having to write down or try to memorize all your different passwords. This tool is also great if you need to share your passwords with VA’s or contractors. Is good grammar not your strength? Don’t have the budget to hire an editor on your staff? This is the extension for you. 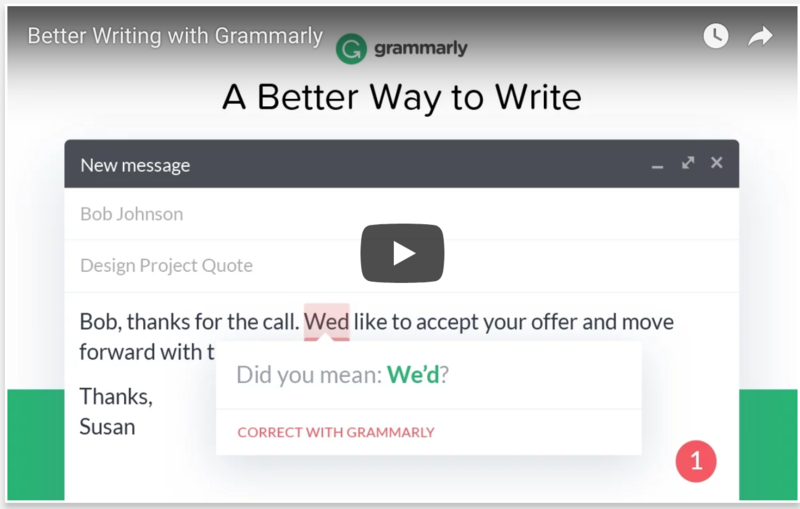 This extension evaluates your writing and suggests the changes to make it clear, grammar mistake-free, and more impactful. 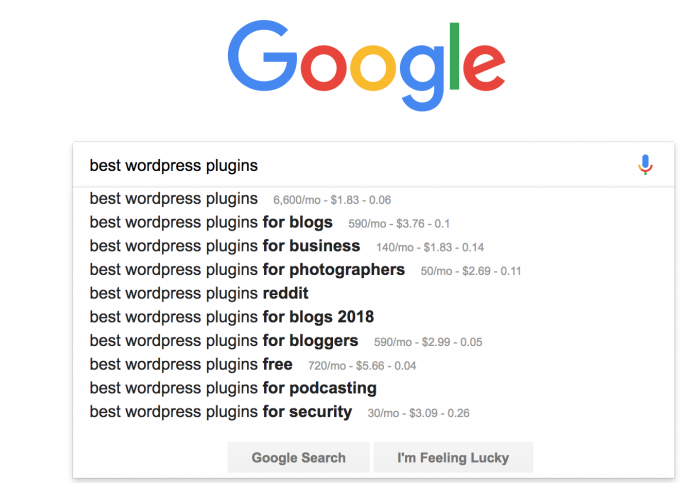 This is a great extension for bloggers as it will allow you to instantly see the search volume and CPC (cost per click) of different search terms. This extension will help you to do that SEO research when trying to come up with a blog post topic or that perfect blog post title. 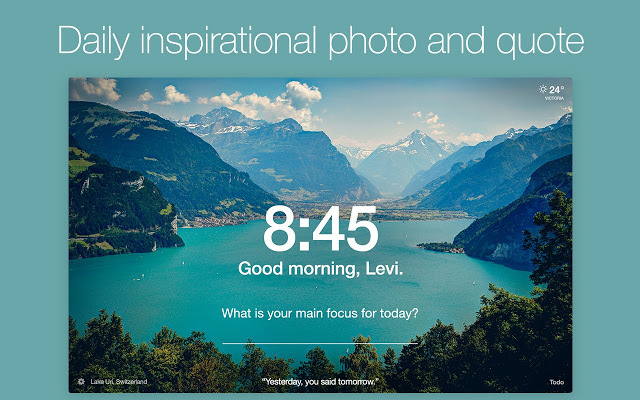 Get inspired with a daily photo and quote, set a daily focus, and track your to-dos. This extension helps eliminate distractions and beat procrastination with a reminder of your focus for the day on every new tab you open. Do you get sucked into the Facebook NewsFeed like so many of us do? Well this extension will help. After installing this, when you log into Facebook your newsfeed will be gone and replaced with an inspirational quote. You will still have access to your messages, notifications and groups and upcoming birthdays (if you need to know). 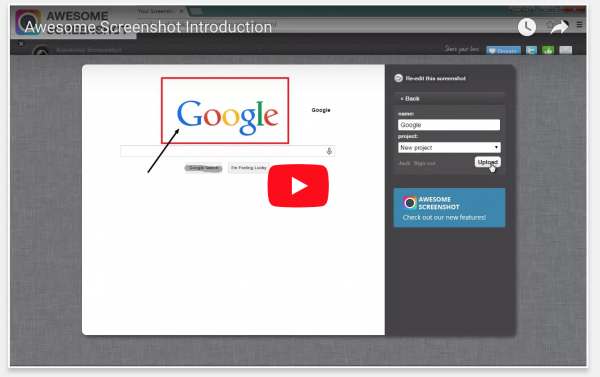 This extension allows you to capture the entire (or part of a) screen and add visual information and annotations. You can also record the screen as video with one click, blur the sensitive information, annotate it, and share it with friends and your team. Your team can also add to the conversation about the shared media and dicuss important changes. As a blogger or solopreneur, you are already probably familiar with Evernote. 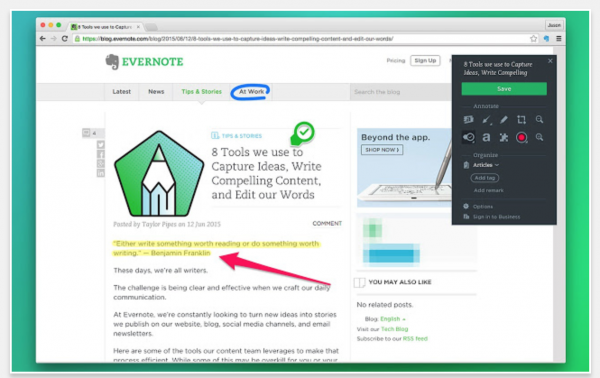 Evernote is one of the most popular note taking apps around. This extension allows you to easily clip and save an entire screen or portions of a screen. You can also save the contents of an entire web page or just bookmark it. This is a super handy tool for saving and organizing ideas for future blog posts or using it to share and collaborate with your team. Those are my must have Chrome extensions. What are your favorites? Comment below and let me know.